My in-laws have been visiting, so naturally we put them to work. The number one goal: Rabbit-proofing the backyard. It has been a long time dream of mine to make the backyard fit for our two bunnies so they can finally run free in the backyard and I don’t have to clean their litter box anymore they can have a wonderful quality of life. Like so many houses in LA, we have a cinder block wall that divides our property from our neighbors. This wall goes down several feet in the ground, so I figured bunny proofing the rest of our yard wouldn’t be too difficult. 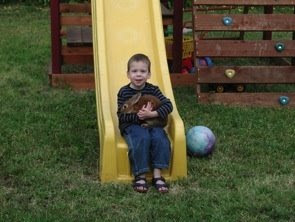 Some of the details have included installing a new gate, blocking access from the side of the house where all the utilities are located; putting barriers under that gate and the gate on the other side of the house to prevent them from digging under and escaping; and building a ramp so they can have access to/from their cage whenever they want. The most important goal of bunny proofing was to protect the A/C units and the cable line from little gnawing teeth. 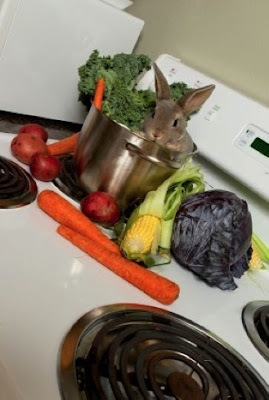 Because, if we lose functioning of either A/C or cable/internet, I’m afraid we will be having bunny stew that evening for dinner. We even installed bunny-repellent-scent-infused cord protectors to protect the cable and electrical cords from the teeth of our bunnies. Hopefully this will ease my guilt for neglecting the bunnies since Seamus was born. We got the first one (Spike) as an impulse buy at a pet store, to help ease the parental urges while we were waiting to be chosen by a birthmom. And since bunnies do better/are happier in pairs, we got the second one (Willow). So I don’t feel so bad about neglecting them. Because they have each other. And, other than food and water, what more do they need? Oh, and by the way, they are both neutered. We’re not taking any chances. 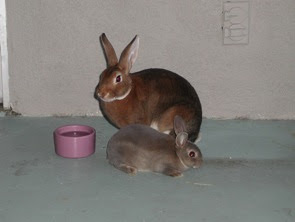 I was once a rabbit breeder, and I remember how these things happen... first two bunnies, then thirty. No really. I did have thirty. Anywho, once they are running free in the backyard, I can eliminate all guilt by keeping them neglected from attention, squished together in a cage. Plus... what’s more fun than looking out the living room window and seeing bunnies run across the yard? I can’t think of anything. Marshall doesn’t trust the bunnies. He never has. 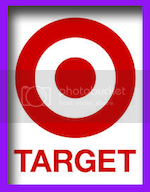 Something about them having eyes on the sides of their head, so you can never tell if they are looking at you or not. That and he usually thinks Spike is giving him the “stink eye”. But, being the ever supporting husband that he is, he has gone along with this bunny-proofing backyard plan. 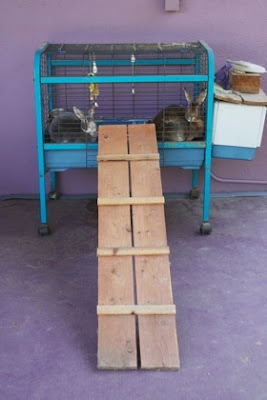 This morning I finished some leftover odds and ends, attached the ramp and set the bunnies free. Or at least I did in theory. They’re still in the cage. Freedom. So close, yet so far away. RUN bunnies RUN! Or should I say HOP. 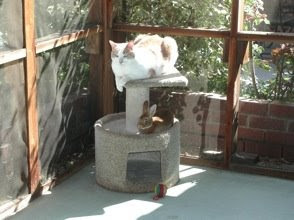 Oh, and yes we do have an outside kitty (Yemen), but we used to have the bunnies running free with our cats in a screened in porch and they got along just fine... even took naps together. It’s been years, so they might have to re-introduce themselves to each other. 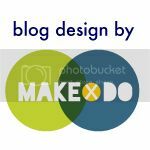 I’m including in this post a nostalgic look back to when they were last free on our porch (which is now our living room). I’m actually writing in this blog from the exact place where the bunnies’ litter box used to be. And, depending on how you feel about my writing, you may argue that this corner is still producing poo. And last, a current photo of them... door open, ramp attached and STILL inside the cage.